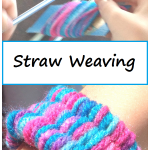 Do you love to craft with the kids? It seems we do a lot more crafts in the winter time, when the weather seems to keep us indoors more. 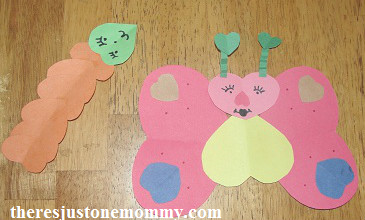 February always inspires plenty of Valentine’s Day crafts for kids, many including hearts. The simple shape can inspire so many fun Heart Shaped Animals. Grab the construction paper, scissors, and glue and get ready to make some adorable animals from hearts! 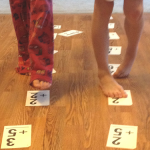 This is one of our favorite heart crafts for kids. If you are working with younger children, I suggest cutting out a variety of hearts, in different sizes and colors, ahead of time. This will allow your child to take the hearts and start manipulating them to form their animal craft right away. 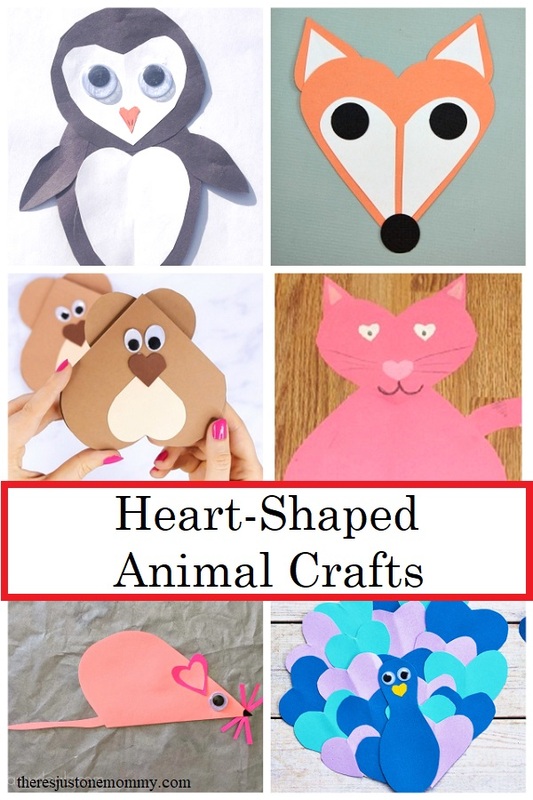 Older children will have fun cutting out their own hearts and they create Valentine’s Day animal crafts. Kids will have fun making this Cute Bear from Hearts. It would be the perfect homemade Valentine card. 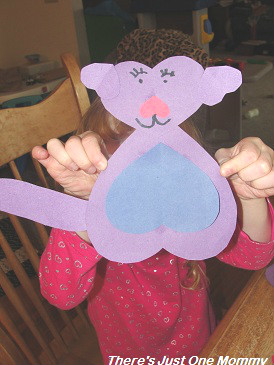 This super simple Heart Shaped Cat is easy enough for even preschool crafters to make. This Sweet Fox is sure to melt your heart. I love those big eyes! Penguins are always popular in the winter time. This Paper Heart Penguin is so much fun to make. Your child may choose to make a whole family of penguins! There is something kids love about spotty-dotty bugs. Make this Ladybug Made with Hearts with the kids to decorate the walls this Valentine’s Day. This adorable Folded Heart Mouse would be cute to give as a homemade Valentine. Just open up the heart and write your message inside. This Heart Peacock would look gorgeous hanging on the walls this February. 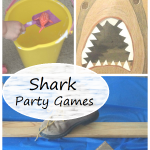 Or, instead of directing your kids as to what animal to craft, you may want to let them use their imagination. My preschooler had fun creating her own heart butterfly and caterpillar. She also created a super cute dog from the hearts. What heart shaped animals will your child create? These are so cute! The butterfly is my favorite. I remember when I was a little girl my mom always had a craft for us on the holidays. I loved it. I’ll have to tell my daughter! 🙂 I don’t remember doing a lot of crafts at home, but I do remember doing holiday crafts at school, and they were always fun. I guess that’s why we do so many now at home! Thanks! 🙂 I loved just having the hearts ready and seeing what they tried to come up with! LOL — thanks! Now to think of some other Valentine’s Crafts since we still have a couple weeks to go! I can’t stand how plain and dull my house looks after the Christmas decorations come down…even though I am ready the day after Christmas to take them down. I love that you are already working on putting some life back onto the walls. The house does seem dreary after all the Christmas decorations come down… And it’s just been dreary outside; a pop of color is just what the house needs! Those are really cute! I need to get started on some Valentines crafts. Thanks — they had fun with them! Those came out great. Great craft for the kids. I think doilies were a big thing when I was younger and we did Valentine’s crafts…. 🙂 Haven’t seen too many of them now a days! I love these! I may have to use this idea on my blog. I am doing a 365 day crafty project thing…and my theme is hearts. I will give you credit! 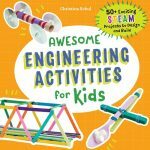 365 days of crafts – wow! That I need to check out! 🙂 I’d love to see your take on the heart animals! Oh, no, I love puns! 🙂 I have to say the cat was both of their favorites, too.